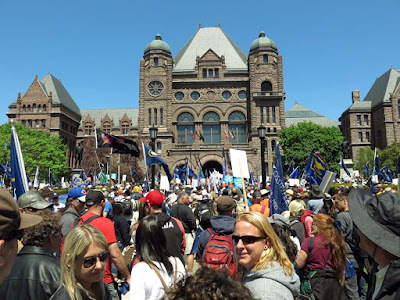 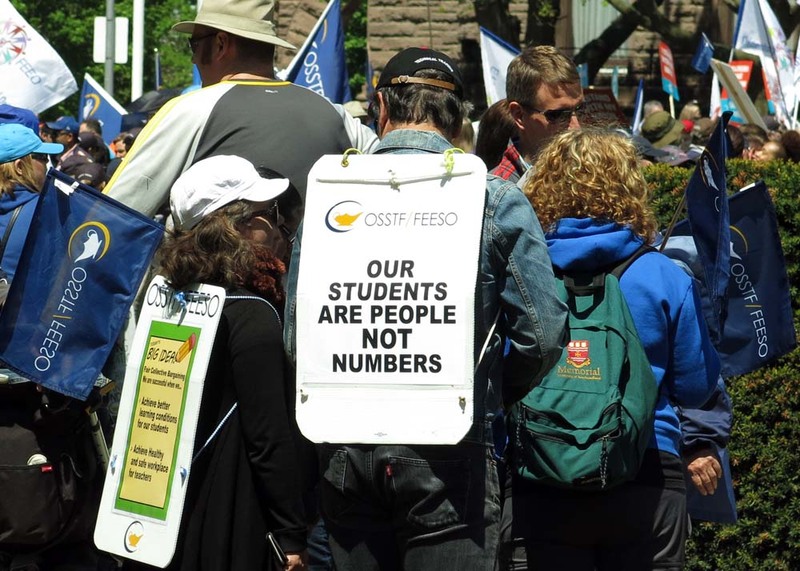 Thousands of striking Ontario Secondary School Teachers and their supporters held a mass rally at the Provincial Legislature on Thursday, May 14, 2015. The largest mass protest of the of the ongoing dispute brought together labour groups like CUPE and other teachers from the Elementary Teacher's Federation of Ontario to call for a 'fair deal'. 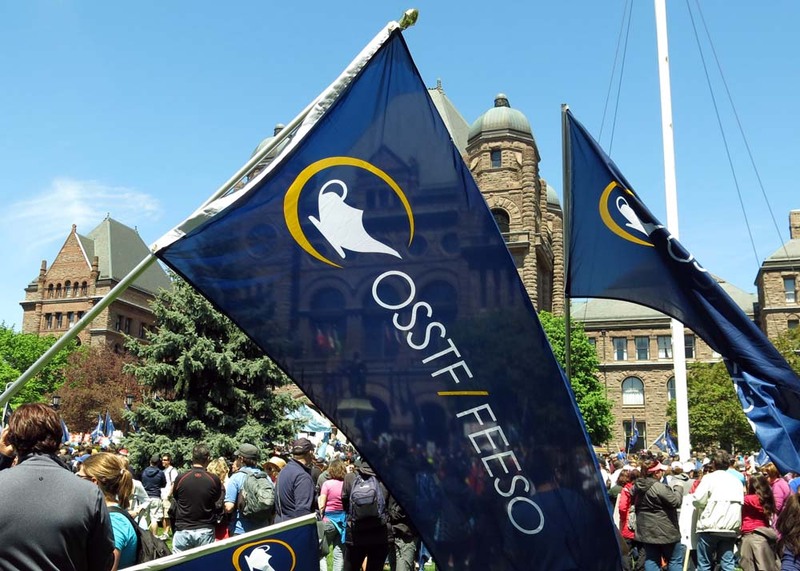 A large number of OSSTF districts have no contract since the Autumn of 2014 and teachers from the Durham, Rainbow and Peel District School Boards are out on strike.